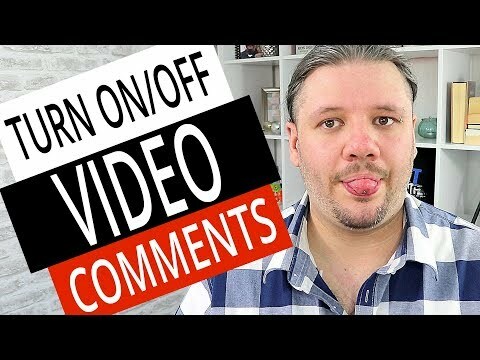 How To Turn Off On Video Comments with NEW YouTube Studio 2019 // Need to enable comments, disable comments on your YouTube video? Maybe you want to stop comments for a while turn on comments to let people give you feedback. How To Disable Comments on YouTube – The youtube comment section can be turned on or off to help you engage with your viewers. Disable comments to stop all people leaving comments or disable the comments to control who can leave you feedback. Web developer and social media nerd since 2007. I have worked with blue chip companies for web development and consultancy, including possibly hundreds of SMEs. Online shops, content management websites, small to medium business websites and online marketing. Personal promotional works with Online Retailer Muscle Food UK, Music Video Channel Kerrang TV! and Naughty Snack Brand Pot Noodle. How To Get YouTube Subscribers || YouTube Growth Strategy Advice || Increase YouTube Views || YouTube Video SEO || Should I Buy YouTube Subscribers? Web Design Huddersfield, Web Design Yorkshire, Digital Consultant - HD1 Web Design Copyright 2017. All Rights Reserved.